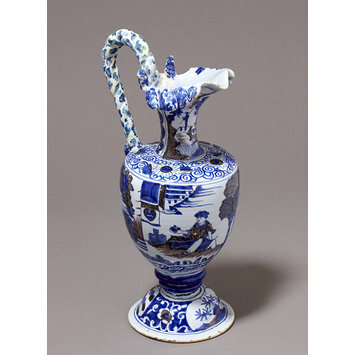 Ewer of enamelled earthenware of Nevers painted with Japanese figures and landscapes in blue and manganese on a white ground. 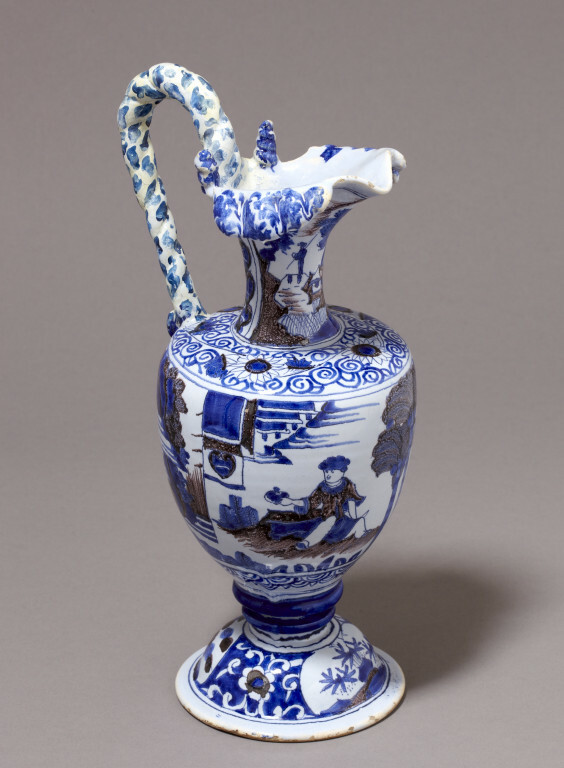 Ewer of tin-glazed earthenware painted in blue, Nevers, France, ca. 1660-1680.